I guess a lot of you, like me, feel that your appetite decreases when the sun is out. Sometimes, I really don’t feel like breakfast but I know if I don’t have it, I’ll feel rubbish later on and probably end up picking. If you need some ideas for fresh, light breakfasts that still keep you feeling full till lunchtime, look no further! Crunchy, yummy, sweet, light and refreshing; this breakfast has it all! I use natural and fruit yoghurts depending on what I fancy and also change up the fruit – it’s not a breakfast I get bored of because of the endless combinations. Nutrition wise, this is packed with minerals and vitamins, you’ve got the oats to provide long lasting energy, the protein (found in nuts, seeds and yoghurt) to keep you fuller for longer and one or two of your 5-a-day in the dried and fresh fruit. What’s not to love?! 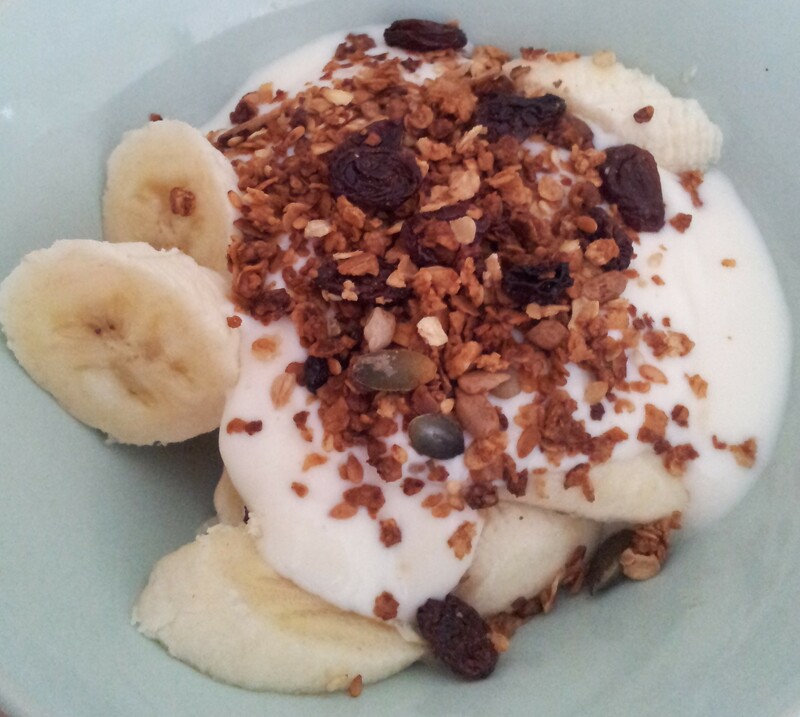 See my Homemade Granola recipe here. Who says porridge is only for winter?! I know there’s still some days where I just fancy a hot breakfast, and this is my go-to. The porridge oats keep you going all morning and I normally make this with milk for my protein source (sometimes adding a dollop of yoghurt on top too). My recipe’s here. I’ll often add seeds for a bit of crunch (and more protein!) and then the apple for sweetness and one of my 5-a-day. Sometimes when I’m feeling particularly sweet-toothed, I’ll add in some honey. If you haven’t already, you NEED to try this recipe. Find it here. It has changed my life. 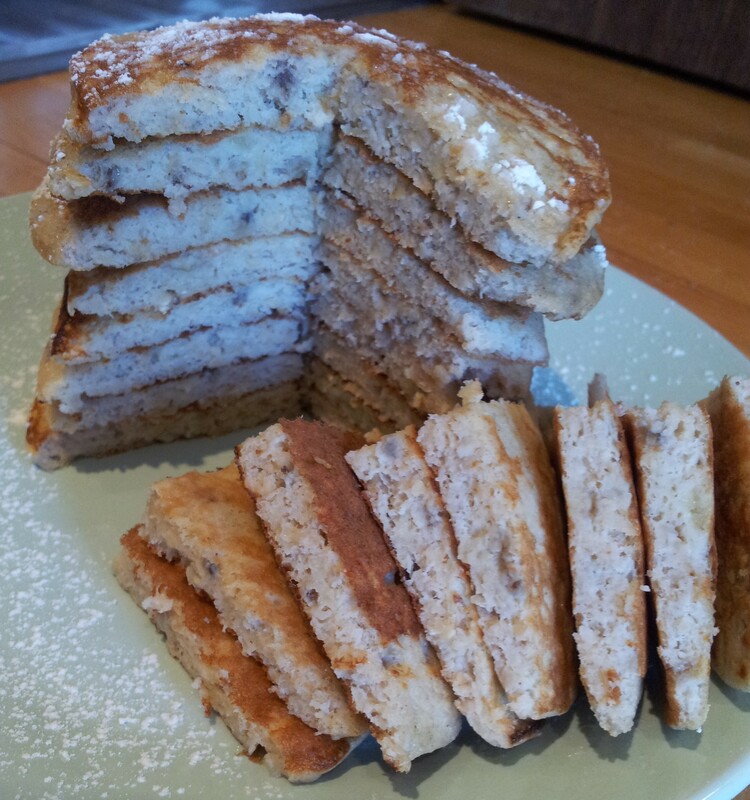 Well, that may be a slight exaggeration but it’s certainly changed my perspective on pancakes! Oats, fruit (banana) and protein (eggs)…are you sensing a theme here?! This recipe will make you want to get up earlier in the morning so you have time to make them! Want to get up and have breakfast ready prepared? Enjoy porridge but don’t have the time in the morning to prepare it? 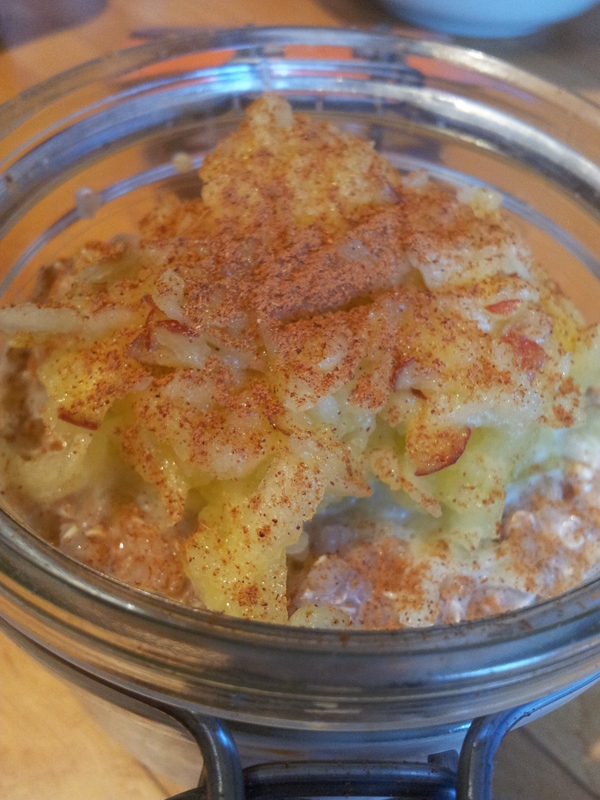 Overnight oats are a simple alternative to hot porridge. To make, simply put 40g of oats in a dish/container and cover with milk (around 100-125ml). Replace lid or cover with clingfilm and leave in the fridge overnight. The possibilities for toppings are endless, but I love the crunch of seeds with apricot sweetness. Mmmhmm! 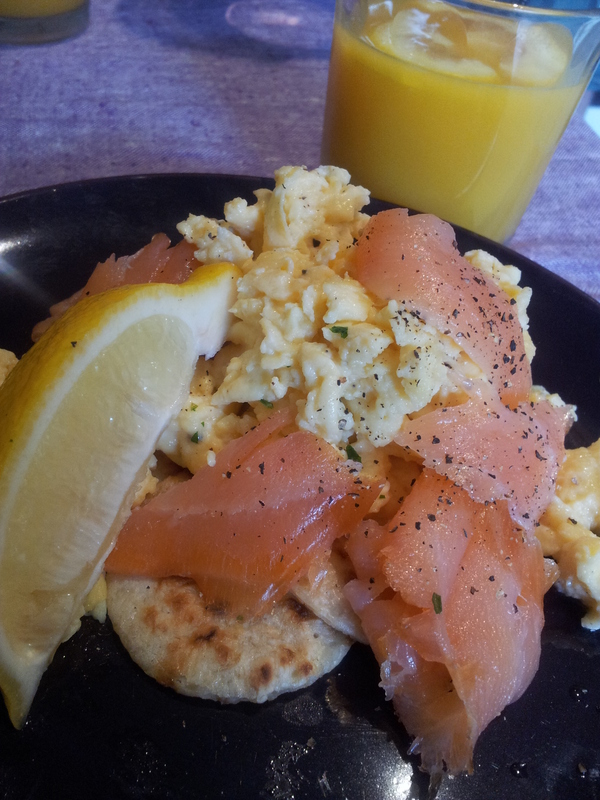 When I’m feeling like an indulgent brunch at the weekend, I’ll always opt for scrambled egg and smoked salmon. Firstly, I’m not really a fan of a fry up and secondly, I love salmon! This is a really easy dish to make at home, especially if you’ve made the bilinis beforehand, just heat them through for a minute. 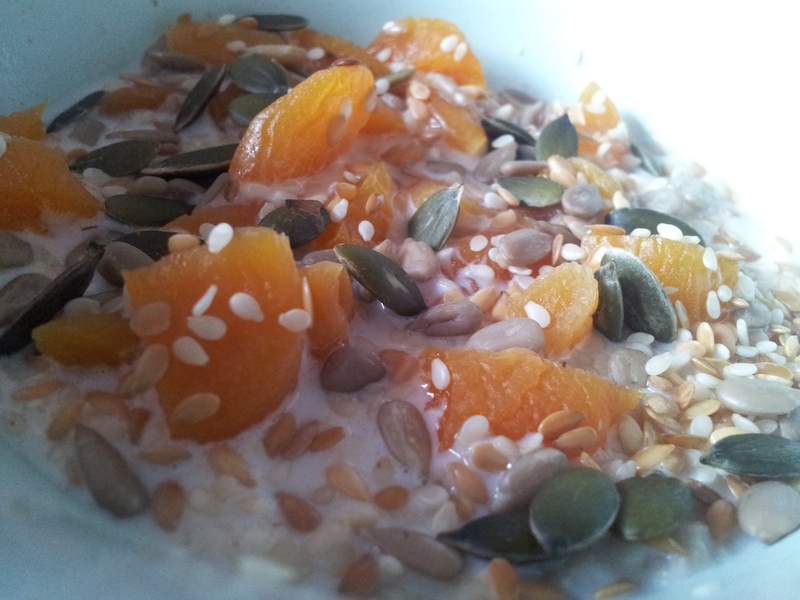 Check out my oat bilini recipe here. Serve with a glass of orange juice – it counts towards one of your 5-a-day! So I hope this gives you some ideas for healthy breakfasts. These all should keep you full until lunch time and give your morning a great start! Start as you mean to go on! TOP TIP: Mix up the toppings and fruits so that you don’t get bored eating the same thing every day. Do send me your images, suggestions or tweaks, I love hearing from you!